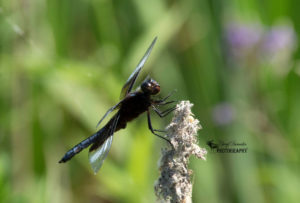 St Clair National Wildlife Area is located just west of Chatham, Ontario and lies along the southeastern shore of Lake St Clair within an extensive marsh habitat stretching from Mitchell’s Bay all the way to the mouth of the Thames River. 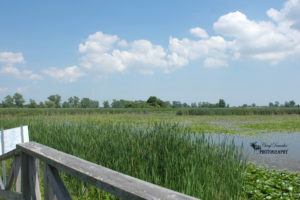 The National Wildlife Area was established in 1978 and consists of two properties – Saint Clair (244 hectares) and Bear Creek (113 hectares). 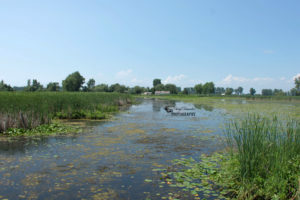 This area is comprised of wetland habitat which acts as a staging area and a transition for hundreds of thousands of waterfowl between their migratory routes. 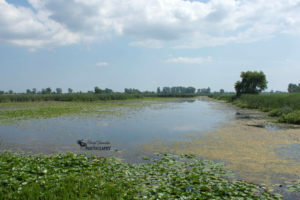 It also provides a home to 20 species at risk including birds, mammals, fish, insects, reptiles, and plants. Click here to view a pamphlet about St Clair NWA I visited the national wildlife area on a humid summer afternoon and unfortunately due to the temperature that day I did not encounter much wildlife. 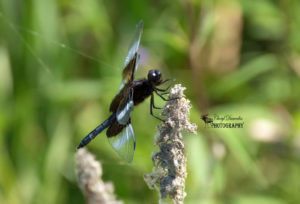 However there were dragonflies everywhere along the trail and I was fortunate enough to photograph a Widow Skimmer Dragonfly and Blue Dasher Dragonfly in great detail. After heading down the trail a bit further I came across a lookout tower where I took shelter from the heat and rehydrated before venturing back out into the sun. Once I left the lookout tower I explored the area a little longer until the insects and heat had overwhelmed me forcing me to turn around and head back towards the trail entrance. As I reached the halfway point of my return hike I stopped for a moment on a little bridge and took a couple of photographs of the marsh area and research building. Finally making it back to my vehicle I put away my camera and drank some more water before heading back home. I hope to return to the area in the future to explore it further and to view the wildlife that resides there when the temperatures aren’t quite as warm. 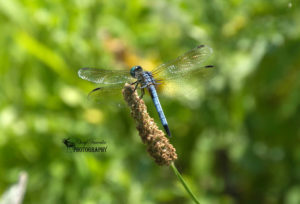 Below are the photos I was able to capture during my brief visit to the national wildlife area. 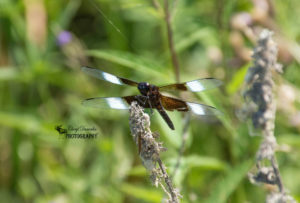 This entry was posted in Conservation Area, Hiking Trails, National Wildlife Area, Nature Photography and tagged Camera, Canada, hike, hiking, insect, insects, marsh, National Wildlife Area, nature, nature photography, Nikon, Nikon D7200, ontario, outdoors, outside, Photo, Photography, St Clair National Wildlife Area, trail, trails, water.